This history lesson is anything but boring. Why, you ask? The subject is… Megg, also known as Bobbi! You probably already know that she is leaving the Club Penguin team after four years. Back then, some older penguins and I got the opportunity to experience Bobbi’s journey from the beginning as a penguin named Megg. If you were there, then this should be a nice refresher! If the following history is new to you, I hope you are able to imagine the journey as if you were there to experience it. I have noticed in the modern CP Twitter community that many of you may not have been active in those earlier years of Megg’s journey. I will try to explain the history as clearly as possible, since I was present and active back then. Maybe you can grade your history teacher for today’s lecture. 😉 It’s gonna be fun and will have loads of media and pictures for you to soak in. I hope you learn new things from Megg’s journey from what I wrote based on my experience and the archives from the helpful people from the Club Penguin Fan Wikia. The Club Penguin fan community started to become aware of a person named Megg through some public Twitter posts from the Club Penguin account in October 2013. As an intern, she even met the co-creator of Club Penguin, Lance Priebe! Interesting fact: At this time, the community thought her real name was Megg. I forgot exactly when we learned it was Bobbi. Her presence became very evident when a Club Penguin original web series came out in December 2013. This series was called the Spoiler Alert. It was a goofy way to… well, the name says it all, spoil what was coming in the updates. It was also during this time that the Club Penguin team was represented by a new team: Polo Field/Chris, Megg/Bobbi, and Ninja/Cory. Polo Field, the community manager, and Ninja, the video specialist, were her mentors while she was new at the Club Penguin company. Even the English language had been taken over by the one and only Megg. I even made this ridiculous and somehow pleasurable-to-look-at Megg Superhero Takeover thingy. I thought she was just as amazing as a superhero! (I never was a big fan of Marvel anyway). Megg was being increasingly active online on Club Penguin during this time, too. It had been a great experience to help out the intern while we met and chatted with her. Megg had also been taking over Ninja/Cory’s Twitter account for quite a while, which lasted much longer than the Megg Takeover. Ninja had not been using it much and Megg insisted that she did not need her own Club Penguin Twitter account. We’ll see about THAT! After some time, she was using Twitter on a frequent basis, so she made @clubmegg. You can still read her tweets from there. The account was very active during 2014, but in early 2015, it slowed down and eventually, she stopped tweeting from there altogether. This was because well-known Club Penguin employees had their own Twitter accounts, but they made the decision to tweet together from one place only, from the Club Penguin Twitter account. The purpose was to remove the feeling of being spread around Twitter too much as representatives of the team. For a reason I am not aware of, Ninja’s Twitter account was deleted some time ago and now no longer exists. The handle was @ninjachat3. We had fears that she would leave the team early since she was an intern. However, in September of this same year, those fears became a thing of the past. Megg’s time at CP as an intern were over… because she became an EMPLOYEE! Everybody was so happy for her! This may be a random fact to you, but she also said “holla” a lot. But not really anymore. Wanna know how big the “holla”thing was at the time? When Billybob/Lane Merrifield, another Club Penguin co-founder, made a special appearance in the Spoiler Alert show, even he said “holla” in a blooper! In 2015, Megg became the community manager after Polo Field left the Disney Club Penguin company. She has been a wonderful successor as a community manager. Throughout the next couple of years following the eventful 2014, Megg aka Bobbi had represented the community in influential and inspiring ways. As a role model, she has a young and bold personality. Not only was she so fun in the Club Penguin community, she also shares her life of vitality occasionally about her non-penguin life with @BobbehJean. From attending meetups to making videos to chatting with us penguins, she made everybody in the community feel comfortable and happy. She is a special, amazing person in so many ways. One of these ways is how she is not afraid to admit her mistakes. I noticed this ever since she became an intern. We are not perfect. Bobbi emphasizes through her decision to share her mistakes that it is okay to make them. Not all the time, of course. But we always have room to improve ourselves. I look up to you, Bobbi, for that! Megg is admirable and awesome, for sure. It’s 2017. As we all know now, she is leaving her job at Club Penguin. Keep in mind she is not leaving the community, though. In other words, she will be moving on to different adventures, but she has not forgotten her past as a penguin. Let’s try to stop the waterworks and instead cheer her on for her past accomplishments, reminisce good times, and wish her the best for her future. Megg’s first iconic outfit. Who remembers this? Her second iconic outfit. Most penguins probably remember this. A refresh of her Where’s Waldo outfit in Club Penguin Island with some extra flair. She was a shining star in the silly Moderator Rap Battle. Behind the scenes of the making of her famous hoodie-flip scene. From left to right: Cory/Ninja, Bobbi/Megg, Chris/Polo Field. Click here to watch the hilarious, tummy-hurting bloopers of the scene. The early days of Bobbi at the Club Penguin offices. (This was for a Spoiler Alert episode). And her several years after that photo. She had a lot of fun in New York City earlier this year! Thank you for reading. Again, I hope that you learned something new! Since I was there to experience her early days as a penguin, I am very happy to share some cool facts about them. You could also be feeling a lot of nostalgia. I am, too. It seems to be that no matter how often the Club Penguin universe changes, sled racing always sticks around. Sled racing in Club Penguin history has evolved and jumped to different platforms. No Club Penguin player should ever forget Flash Club Penguin’s classic multiplayer mini-game, that was, Sled Racing. It came all the way from beta testing in 2005 and became the fundamental experience of classic Club Penguin for over 11 years, before the Flash-based game closed. And those old blue penguins clapping endlessly for all the finishers (until Flash CP shut down) will always be remembered. The gameplay was super simple, just use the arrow keys to move to the left or right in order to avoid obstacles which are all obvious, and speed up using ice patches. This sled game was the standard in Club Penguin culture and still is, even if we cannot play it anymore. It has paved the way for new sled racing experiences in the future, which we will explore up next. Some other fun facts: #1. Sled Racing started with no music. It was because of the Wii sledding game that music was composed. Thought Sled Racing was too easy? Then try out Test Run, which literally tested your ability to sled. This was a fun part of Mission 2 of the Penguin Secret Agency, released in 2006. You used the mouse to control your maneuvers to the left and the right. Extra obstacles attempted to knock you off the sled. On top of that, the obstacles appeared much quicker than in the multiplayer mini-game that the CP team based this fun, little game from. So, you had to react much quicker. If you hit enough obstacles, you will crash right there and then where you last hit one. Even if you are a pro at this game, you will eventually crash at the end. I remember entering PSA Mission 2 just to play this game. Sometimes, I made it to the end and sometimes I didn’t. Test Run was a second-person player game (I think), which means you controlled your sled as if you got caught in all the action right behind your sled, rather than from a bird’s eye view from Sled Racing. This made the Test Run gameplay exciting, fast-paced, and full of thrills! #2. The Test Run in the PSA mission was made using a modified version of the Cart Surfer engine. Both of these images came from Club Penguin’s commercial for their Game Day video game for the Nintendo Wii. In the first image, who do you think is more determined to win, the kid on the left or the right? Or maybe the question should be who is the better actor for the commercial? When Club Penguin players talk about mini-games, I believe that those from the Game Day video game are often overlooked. Sled and Slide is a mini-game from the Game Day Nintendo Wii video game, released in 2010, that allowed players to have the only bobsledding experience that Club Penguin had ever offered. The gameplay involves moving the Wii remote to the left or right to move in the direction where you want to go in the bobsled. It is definitely different from other sledding games. First, this is an exclusive for the Nintendo Wii. Second, this is a teamwork-based game. Your team members participate in your bobsled race. Everybody should do a good job in order to achieve the fastest time. Third, at the start of the race, you have to run with the bobsled by furiously shaking the Wii remote to get it going before you could hop in and start steering. Fourth, the obstacles includes things like large snowmen and ice sheets. Fifth, you have very long tunnels to ride through. There are more differences, but I think I have covered the majority. It is a challenging game that provided Club Penguin fans a different type of sledding experience. Let’s fast forward to the era of Club Penguin history in which the great emphasis on the mobile platform was beginning. Sled Racer was an app all on its own, launched in 2014 for iOS and 2015 for Android. It was still a part of the Club Penguin universe, but could not be played in the Flash version of Club Penguin nor the Club Penguin app. Sled Racer maximized the potential of sled racing. Simple sleds and downhill slopes were not enough. You had to deal with avoiding sabertoothed Fluffy fish, cacti, and other crazy obstacles. Logs just did not cut it. The game had no end, so you could go as far as you could before you crashed into something. It was a second-person game like Test Run. What made this game very special from other Club Penguin games was that although you could not ride alongside other players, there were public leaderboards showing players’ best scores. You could even earn the Golden Goggles for being at the top of the Friends’ Leaderboard. You could wear this special item on your penguin in the Club Penguin game and show off just what an amazing sled racer you were. The gameplay, in my opinion, was superior. The controls were simple and easy to use. You also had exciting and absurd power-ups (just for the members) that could help you on your danger-filled and thrilling sled race. It was one of Club Penguin’s several apps that they stopped developing due to Club Penguin Island. The best parts of Tube Races are the multiplayer experience and ease of access. You can play with as many players as you want and enter the game smoothly and quickly. Gameplay is only acceptable; partly due to reasons that I stated above from my Mt. Blizzard review and that there are not any obstacles that actually slow your speed down very much. You depend on maneuvering quickly through turns. There could be more strategies, but I’m not aware of any others, at this point. But what makes this game stand out from any of Club Penguin’s other sled racing games is the fact that you can wear all your clothes while you are playing. And that’s seriously awesome! Riding with style. You also have an assortment of tubes to ride. They are all the same speed, but they have a different personality and appearance for each one. What is your favorite Club Penguin sled race game? Will there be new ones in the future? I have an idea for a belly slide sort of game. Penguins in real life are known for belly sliding, but Club Penguin has not made this action evident for its penguins. What if there were to be a belly slide game someday? Having said that, I do not think sub-communities have enough recognition, especially with the absence of original Club Penguin. Sub-communities are intricate, vital parts of the complete Club Penguin community. What do I mean by Club Penguin sub-communities? These are communities within the main community that contain unique qualities and penguins thrive in this smaller community that supplies support for the main community. You may know what I’m talking about when I bring up examples: pookies, CPMV (Club Penguin Music Video) creators, armies, and more. I strongly believe Club Penguin Island has so much potential for greatness and even a revival in another heyday era of CP history. However, I am afraid of a possible result of this progress: the decline or even the end of some sub-communities. As with progress, it is inevitable that new things come about while some old things are left in the dust. It has happened in history so many times… languages, civilizations, and social structures have disappeared from modern people’s knowledge. Okay, I think I am starting to get very serious on this topic here! But it is an analogy to try to help you, the reader whom I appreciate reading this far and hopefully to the end of this post, comprehend my concern for the existence of older sub-communities and compare them to history you may have learned in school. Anyway, I completely understand such happenings in history. I also understand that, again commonly found in history and Club Penguin is no exception, there are beginnings of new sub-communities as a result of the new game, CPI. 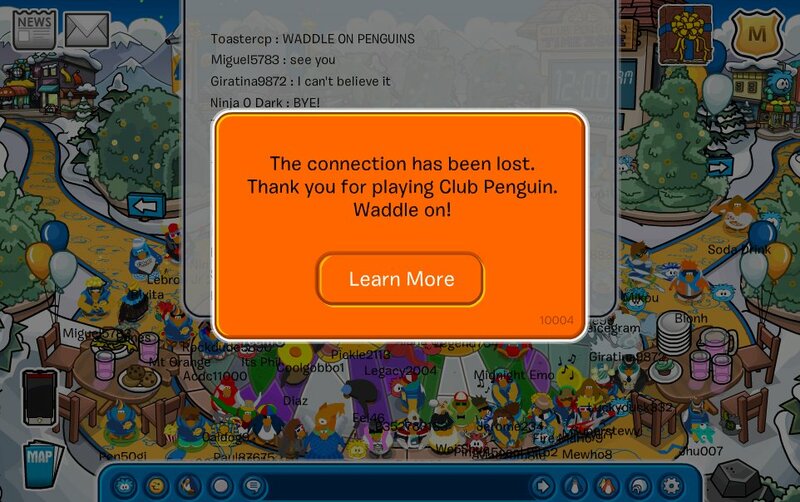 Nevertheless, I hope that sub-communities that have ultimately depended on classic Club Penguin to log on and run will continue on Club Penguin Island. Or at least be remembered if they have ceased running. @Tech70CP @clubpenguin Not sure what they were called but they were basically beach version preps. Would especially be seen at the cove. @Sniffybear2 @Tech70CP @clubpenguin Definitely saw like cheerleaders around the Stadium. @Christohper11 @Tech70CP @clubpenguin i remember they would keep running down near the chat bar to their "lockers"
@Tech70CP @clubpenguin noise spammers like the people who spam the squid, the horn thing, or the weird light pirate sword thing. @Tech70CP @clubpenguin There were also the Roleplayers, who roleplayed during parties and in igloos. A huge thank you to Athena for providing an insightful and detailed history of some major sub-communities, and even how some affected others. Some of you older players remember her as Cw700, Swan, an amazing graphic designer, a CPMV maker, and a cheeky girl. And remember when “thanks cw” was a thing? If you don’t know the significance of this statement, let’s just say we basically overused it a lot. Uhh, whoops, back to the sub-community subject. Anyway, she granted me permission to have the history she kindly explained on here for you to read and learn! @Tech70CP @JartarfCP @clubpenguin @Jempenguin Bunch of the other well-known or quite well-known CPMV people I remember are Sophie276560, Swan Maiden4, Regalrosebud and Pinki276. @Tech70CP @JartarfCP @clubpenguin @Jempenguin -community on YouTube, along with other fan-made CP “films” and web series. As you should know by now, sub-communities immensely comprise the classic Club Penguin community. Some will come to Club Penguin Island, some will not. As time goes by during the era of Club Penguin Island, will we see any old sub-communities make a return? Time will tell. Welcome to my first-ever post in my new Flash(back) Club Penguin series! Read more about this new blog series. 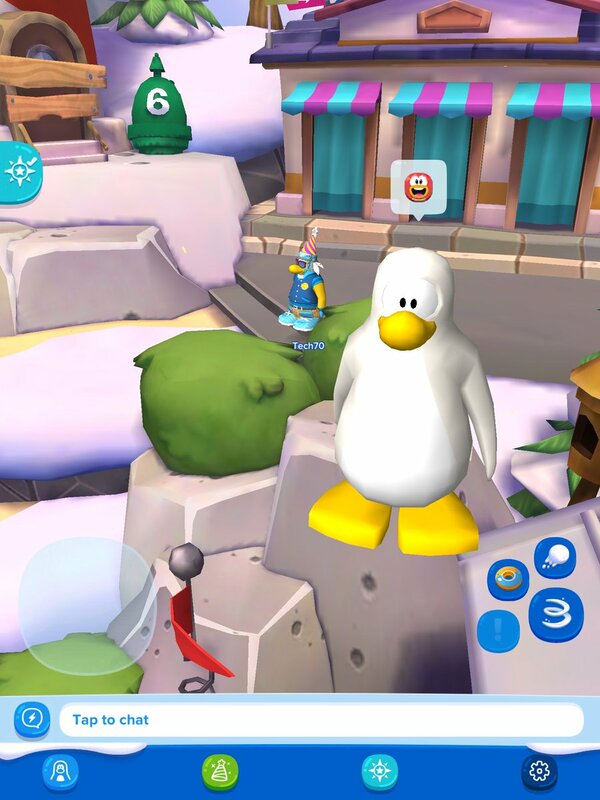 What makes our original home quite different from Club Penguin Island, so far? It’s definitely the environment. By that, I mean the weather and even the seasonal feel. Thriving in our home, it seems like winter is a year-round thing, isn’t it? Waddle outside and guess what you will always see? Snow, snow, and more snow! Even the beach and cove is snowy. You don’t make sand castles, you make SNOW castles. That, or the snow is actually very white sand. But I still think it’s snow. In my eyes, one of the most significant differences between classic and Island is the weather and seasonal atmosphere. So far, there are two outdoor rooms on Island: the Beacon Boardwalk and the Coconut Cove (I just realized alliteration seems to be the thing, uh oops, got off track again). Both of these rooms have a very strong summer vibe. These rooms filled with yellow sand, the ocean, and more. Plus, what you can do on Island pretty much supports this year-round summer party town, like swimming, using an pool inner tube (you can use this anywhere, in or out water! ), collecting seashells and seaweed, fishing, and more! However, we can still throw snowballs from anywhere, just like our old home. On our classic island, it feels like that is where a penguin would actually live, if you consider how the majority of real-life penguin species thrive in cold, snowy environments. Perhaps penguins of Club Penguin Island now represent those lesser-known, real-life penguins that live on beaches. I understand, though, that CPI is very new and will have new rooms that could closer resemble our former home. For now, though it’s more like a place where penguins would go for a holiday! This is especially because it makes sense that the first rooms would be on the shoreline, the initial places we inhabit upon arrival. Let’s see those new rooms with winter theme, extra cold, and more snow! Then our new home will feel even more like home for us penguins. Announcement: TWO New Blog Post Series! Classic, Flash Club Penguin has closed their doors and is forever officially unplayable. Meanwhile, a brand new game has made its debut worldwide, allowing us to have different adventures in store: Club Penguin Island. I want to celebrate our future together AND keep the memories of our past alive. I am very proud and happy to announce that my blog will have TWO, NEW, ORIGINAL blog post series: Flash(back) Club Penguin in regard to our original game… AND the other is called Island Inhabitant in regard to our new game. Flash(back) Club Penguin aims to explore the old Club Penguin, even after inaccessible for the players, bring about memories, and suggest classic features to add to CP Island. Island Inhabitant is written by… a Club Penguin Island inhabitant! This other series is focused on reviewing the game, stating activities to do (in case you’re bored on there), provide suggestions for this young game, and MOST of all, supporting the Club Penguin team all the way. Because they had a rough start with CPI, I am trying to help them with this series by believing in that they will improve the game in ways that will satisfy lots of people! There will be a few new graphics for my blog design and the blog post series, as well. I can’t wait to continue my hobby of Club Penguin blogging with you all! Discussions, ideas for Club Penguin, and even more neat stuff. Stay tuned! You’re at the bottom of the page… perhaps you’re trying to find something? Tech70's Club Penguin Blog is not affiliated with Disney's Club Penguin in any way.